Tyler Davis is a Puerto Rican professional basketball player who plays in the National Basketball Association (NBA). As of 2018, Tyler Lee-Deon Davis currently plays for the Oklahoma City Thunders as their Center. Tyler Lee-Deon Davis has played for other teams like Oklahoma City Blue. Playing as a Center, Tyler Lee-Deon Davis reportedly earns around $77,250 as his yearly salary from Oklahoma City Thunders. Further, Tyler Davis has an estimated net worth of over $100,000. Tyler Lee-Deon Davis was born on May 22, 1997, in San Jose, California. As per his nationality, he is Puerto Rican and belongs to White ethnic group. Further, his star sign is Gemini. Tyler Lee-Deon Davis attended Plano West in Plano, Texas where he played for his high school basketball team. After completing high school, Tyler Lee-Deon Davis enrolled at Texas A & M and played for the Texas A&M. Davis was a second All-SEC player as a sophomore. Davis slimmed down between his sophomore and junior season to compete better in SEC. He led the team with 14.9 points per match and finished second behind Robert Williams with 8.9 rebounds per match. After the season, he declared the draft of the NBA. As of 2018, Tyler Lee-Deon Davis has an estimated net worth of over $100,000. He reportedly signed a two-way contract with Oklahoma City Thunders .and Oklahoma City Blue. Further, the NBA player has an average salary of $77,250 annually. Tyler so far has made earnings of $200,000 from his entire NBA career. Kept aside Tyler Lee-Deon Davis financial earnings, his personal assets includes home and cars. Further, the NBA Player Davis earns a good amount of money from various sponsorships. Russell Westbrook, Paul George, Steven Adams, Dennis Schroder are the highest-paid players of Oklahoma City Thunder. 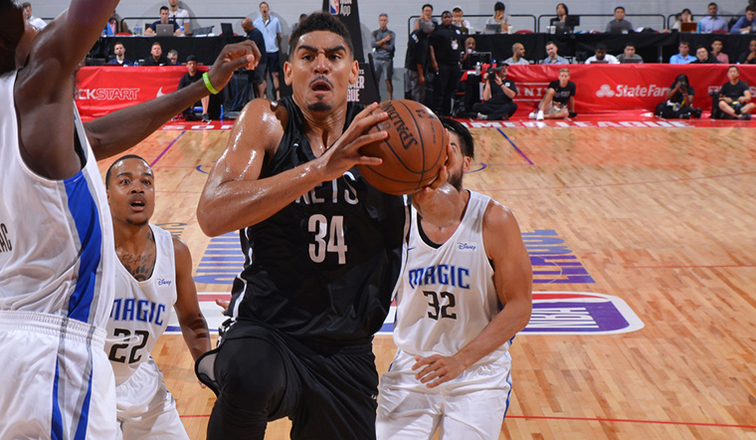 Tyler joined the Brooklyn Nets for the NBA Summer League play after being undrafted in the 2018 NBA draft. The Oklahoma City Thunder signed a two-way contract with Davis on 13 August 2018. During FIBA AmeriCup 2017, he represented the Puerto Rican national team. Davis had 12.3 points averaged, 6.7 rebounds and 1.7 assists per tournament game. Standing at a height of 6 ft 10 in (2.08 m), he plays at the center position. The Famous NBA star Tyler is 6 feet 10 inches tall in height and weighs around 121 kg. Tyler Lee-Deon Davis is not only a world-class athlete but also a very attractive individual. Despite being famous NBA Player, he is not present in any social media. No details regarding his relationship and affair has currently surfaced. Moreover, he seems to focus on building a career and hides his romantic relationship with the public. Exact details about his family were not made public. He does not seem to be fond of using social sites.